Your Feedback Is Important To Us | Dude, Where's My Freedom? Last weekend, while I was running errands, I noticed something I found particularly interesting. Three separate establishments sought out my opinion on their level of service. Two were giant corporate behemoths. The clerks at both Wal-Mart and Taco Bell made a point of informing me that the back of my receipt contained instructions for how I could complete a survey, and by doing so would become eligible for a prize drawing. These companies valued my opinion so much they were actually willing to give me a prize for sharing it with them. The small business I went to (a local barber shop) also valued my opinion. They had a new barber on staff and after my haircut, the owner pulled me aside and asked what I thought of her (alas, no prize was offered). Everywhere I went that was part of the voluntary sector of the economy, my servers made it a point to let me know that they valued my feedback. Contrast this to the service you receive in the coercive sector, the enterprises operated (and monopolized) by the government. Has a supervisor at the DMV ever pulled you aside and asked you how well the clerk who assisted you performed their job? Can you imagine a police officer directing you to a customer service survey after writing you a ticket? Would the military ever offer you a prize for sharing with them what you think of their policies and regulations? Of course not. All of these scenarios are laughable. The government is wholly disinterested in whether or not you approve of their edicts. They low-level bureaucrat could not care less about pleasing a customer. These are primary examples of how human behavior is affected by incentives. Wal-Mart has every incentive to ensure your shopping experience is pleasant. If they fail to do this, you will potentially take your business elsewhere. This will result in lower revenues, leading to fewer profits. Improving the quality of service you receive, on the other hand, will potentially result in higher profits, thus increasing the personal wealth of Wal-Mart managers and shareholders. The incentives for government bureaucracies, on the other hand, are the exact opposite. To the bureaucracy, a customer is not a source of revenue, but rather a nuisance. A pest that must be quickly dealt with and shuffled away as soon as possible. The revenue the agency receives is completely independent from the quality of services they provide. In fact, government agencies frequently cite low quality service as justification for receiving even greater amounts of taxpayer funding. The progressives shout that the reason government schools are failing is because they haven’t received enough money. Rather than improvement being rewarded, continued failure is the sure path to increased cash flow in the coercive sector. There are no potential competitors to deal with. Any serf who dares complain about the low quality of service they receive from the government will promptly be told that if they want better service, they should have voted for higher taxes. Low quality service is a punishment that government inflicts on us intentionally, in order to coerce the populace into surrendering more and more of our individual wealth to the leviathan state. This is one of many significant distinctions to keep in mind between the coercive and the voluntary sector. Even giant, faceless, multi-national corporations desperately value feedback from their customers. They value it so highly that they are willing to give away large prizes in exchange for it, and to set policies requiring their workers to inform you of their desire to hear from you. They spend large amounts of resources on market research, trying to find out how to better satisfy the needs, wants, and desire of the public at large. The government, once again, does the exact opposite. It spends vast amounts of (confiscated) money on advertising campaigns (marketed as “public service announcements” in a method that would make Orwell cringe) designed to convince you to conform to their standards of how they would like you to behave. Private companies try to find out what you want, while the state is in the business of telling you what to want, and demanding you adjust your expectations accordingly. As a final point, consider how few of us actually complete these surveys. Most of us simply throw the receipt away. Our time is valuable and we simply cannot be bothered to take a few moments to provide feedback to a business (even one we patronize on a regular basis), even when the chance to win a valuable prize is offered. We just expect the company to figure it out, to essentially read our minds regarding how they could offer superior service. What a shocking and unrealistic expectation! Or at least it would be, if it didn’t regularly happen. 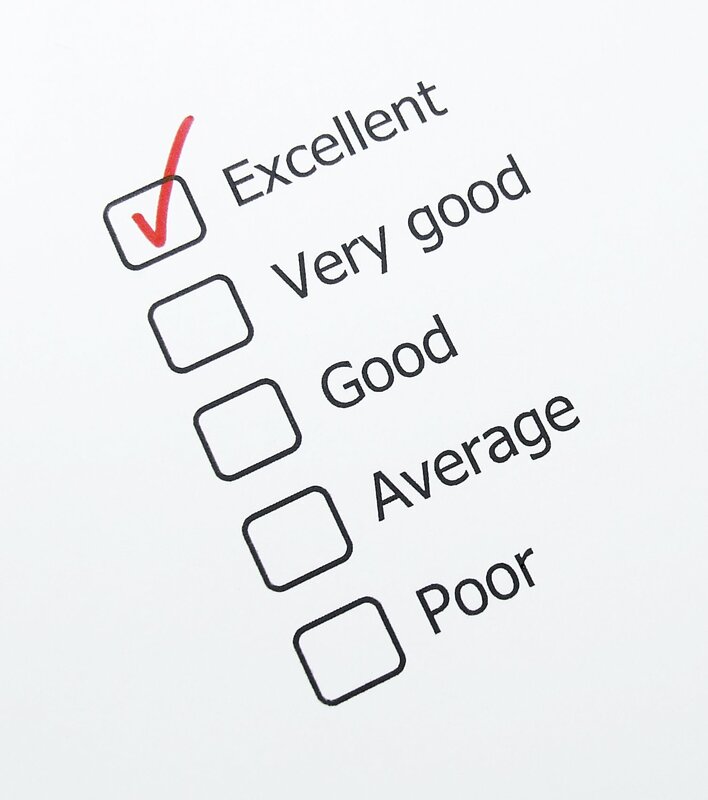 Despite the fact that so few of us are willing to provide feedback, companies still find ways to regularly improve the quality of their goods and services. We are so used to this continuous improvement that we completely take it for granted and just assume it will happen completely independently of our own actions. In the voluntary sector of the economy, businesses just get better. It just seems to happen, in and of itself, as if gradual improvement is a defining attribute of private industry. Now consider your dealings with the government. Do they continually get better? Is improvement a defining attribute of the state? I didn’t think so. This entry was posted in General Theory and tagged corporations, customer service, Economics, feedback, government, incentives, surveys, wal-mart. Bookmark the permalink.